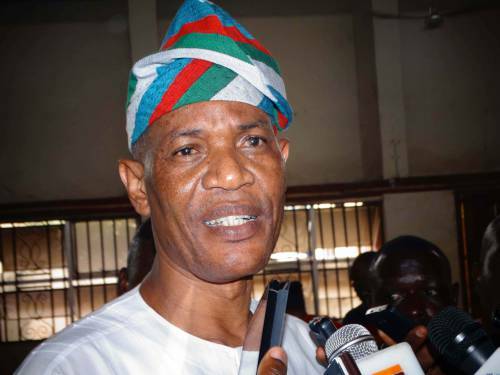 Facts have emerged on why the All Progressives Congress (APC) in Ondo state is opening its door for some former members of the party who worked against the election of Governor Oluwarotimi Akeredolu in the November 26 2016 governorship election. The APC is presently preparing for the defection of the governorship candidate of the Alliance for Democracy (AD), Olusola Oke, SAN, and others. Party members have expressed worries about Oke’s expected defection, describing his activities against the party in the last election as unforgivable. Governor Akeredolu had mentioned severally that he was ready to accept members of the Peoples Democratic Party (PDP) and other opposition parties into the APC, stressing that only those who jumped to AD to work against his victory were not welcome. The governor frowned at those perceived to have worked with the AD. He had openly rejected a congratulatory advert placed by a Senator from the state, Ajayi Borrofice, saying he is no longer a member of the APC. But party members, pleased that the governor had placed an embargo on those who were involved in anti party activities and others who openly worked for the AD, are surprised on the news of Oke’s planned return to the APC. They are particularly depressed as they believed that since appointments are still being put in the cooler, Oke and his followers may get posts hitherto reserved for loyal members. A competent source who doesn’t want her name in the print, told DAILY POST that the AD players resorted to blackmail to enable the Presidency step into the matter. According to the source, strong and powerful national figures of the party in South West, led by APC national leader, Bola Tinubu and his close friend, Pius Akinyelure, board member of the Nigeria National Petroleum Corporation (NNPC), took the matter to President Muhammadu Buhari. “These national leaders have blackmailed Akeredolu at the national level. They had already painted a picture of a very stubborn person who does not care and never eats his words. “The reason we are taking Olusola Oke and the rest back is to correct that impression. Besides, the President has spoken to the Governor and he has reminded him that 2019 election is coming. “Ordinarily, there is no sense in celebrating Oke’s defection, but the National leadership and Presidency have forced our hands and it is now a matter of Buhari’s sake”, the source disclosed. The governor, through his Deputy, Agboola Ajayi has already met with Olusola Oke to perfect his return to the APC fold. It was further gathered that there was no negotiation between leadership of the party in the state and Oke on his defection. Oke, our correspondent learnt, was initially on his way to PDP, where he contested the governorship ticket in 2012. But APC leaders in the South West, who allegedly sponsored Oke’s adventure to the AD, spoke against the move and adviced him to return to the APC. However, there are rumours that the new Senior Advocate of Nigeria, SAN, is eyeing the Senatorial ticket of the Ondo south senatorial seat. Some political observers in the state are of the opinion that Oke should have remained in the AD and build the structure into a formidable force. Others believe that since another election is around the corner, the APC needs political bigwigs so as to win elections and remain relevant in power.